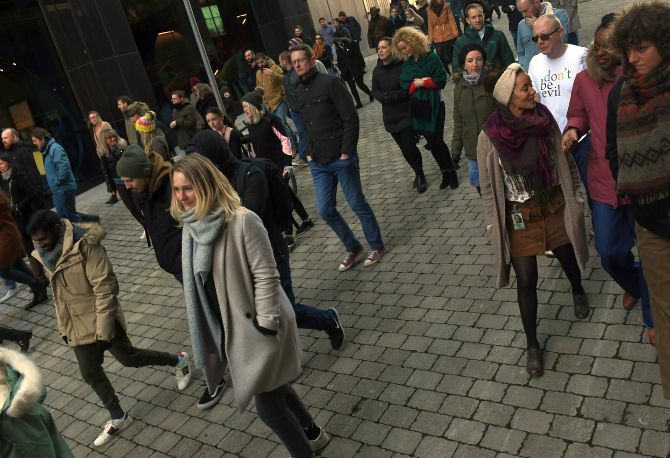 Hundreds of employees at Google offices around the world, including in India, on Thursday staged an unprecedented series of walkouts in protest at the company's treatment of women and lenient treatment of senior executives accused of sexual misconduct. The employees are demanding several key changes in how sexual misconduct allegations are dealt with at the technology giant, including a call to end forced arbitration, a move which would make it possible for victims to sue. Forced arbitration, a common contract clause for Silicon Valley employees, demands any disputes are dealt with internally rather than through other methods such as the courts. 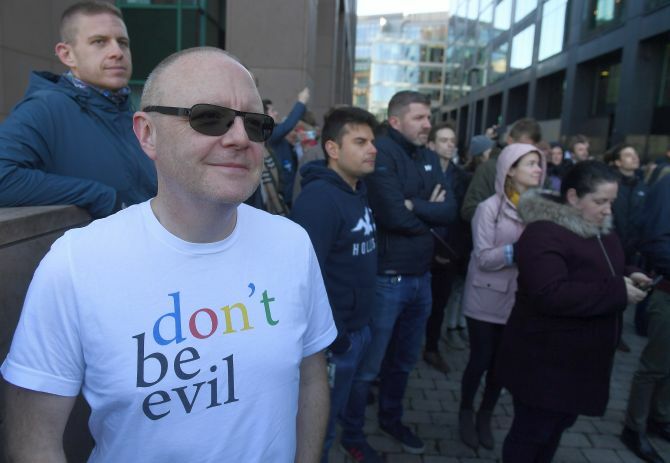 Google chief executive Sundar Pichai has told staff he supports their right to protest. "Yesterday, we let Googlers know that we are aware of the activities planned for Thursday and that employees will have the support they need if they wish to participate," the Indian-American top executive said. Demonstrations at the company's offices around the world began at 11:10am in Tokyo and took place at the same time in other time zones. A photo from the Singapore hub showed at least 100 staff protesting. 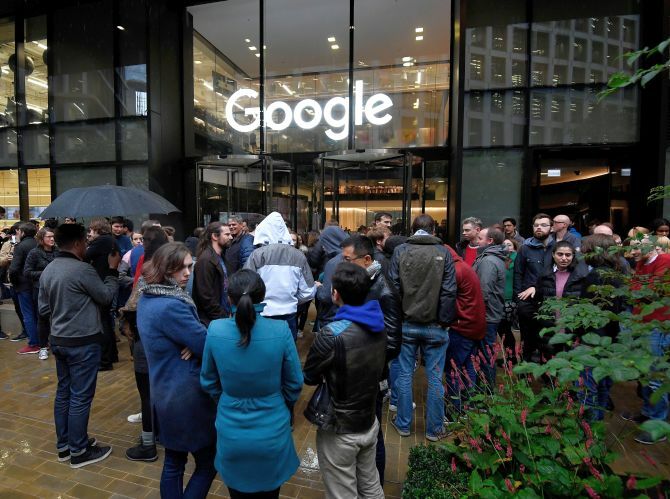 A Google spokesperson confirmed that 150 employees participated in the walkout in India. The employees were from Hyderabad, Gurgaon and Mumbai offices. Overall, Google has about 2,000 people across four offices in India (Hyderabad, Gurgaon, Mumbai and Bangalore). 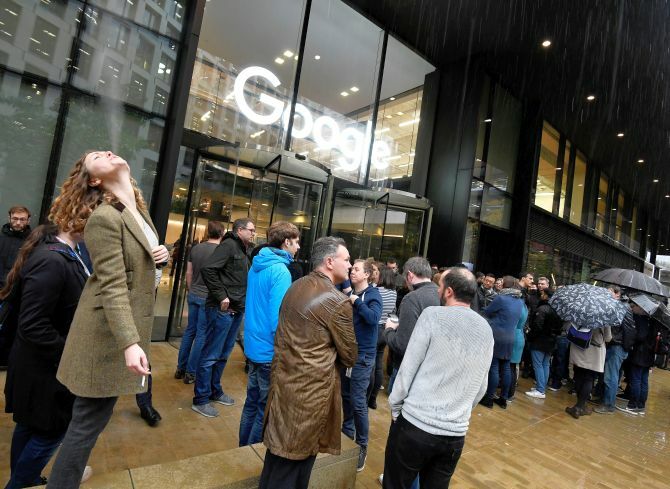 A Google spokesman in Singapore said he could not provide details on how many people took part in the walkouts at those two offices, which each have more than 1,000 employees. 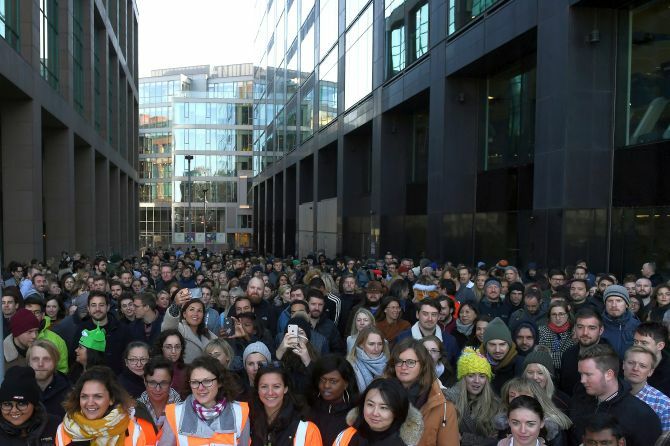 In Europe, a small group of Google employees walk out at the company's London headquarters. A larger protest was reported in Zurich, Switzerland. In the United States, there are hundreds of posts on social media using the hashtag #googlewalkout. Top executives have assured employees that the company is "dead serious about making sure we provide a safe and inclusive workplace" in an e-mail sent shortly after the Times investigation was published last week. At least 48 other employees have been sacked for sexual harassment without receiving a payout, Pichai has informed Google staff. He admitted the New York Times' report had been "difficult to read". "Employees have raised constructive ideas for how we can improve our policies and our processes going forward," said Pichai in his latest statement. "We are taking in all their feedback so we can turn these ideas into action," the Google CEO said. According to the Times report, the company stayed silent about sexual misconduct allegations against three executives over the past decade, including Android creator Andy Rubin, who exited the company in 2014. Tech news site The Information previously reported that Google had investigated Rubin for an inappropriate relationship while at the company. But the Times uncovered new details, including a reported USD 90 million exit package that Rubin is said to have been granted when he departed the company. He was allowed to go despite what Google considered a "credible" allegation of sexual misconduct made against him, according to the report. Sam Singer, a lawyer for Rubin, disputed the allegations in the Times report. "None of the allegations made about Mr. Rubin are true," he said in a statement, calling them "demonstrably false." Earlier this week, Richard DeVaul, a director of Google X, resigned from his position. The Times report claimed he had sexually harassed a job applicant. DeVaul is leaving without any exit package, CNN reported, quoting a person familiar with the matter as saying. In a statement to the Times, DeVaul said he was sorry for the "error of judgement." They employees are also making formal demands to Google's management, including a commitment to end pay and opportunity inequality, a clear, uniform, globally inclusive process for reporting sexual misconduct safely and anonymously, the appointment of an employee representative to the board and an end to forced arbitration in cases of harassment and discrimination for all current and future employees.